Imam that is a man which is a chief of ordinary men in a matters of religion and worldly matters on the behalf of prophet (sallalahu alaihi wa sallam). I have a honest question to the sane shias. HOW YOUR 12-TH IMAM IS LEADING YOU IN RELIGIOUS AND WORLDLY MATTERS? 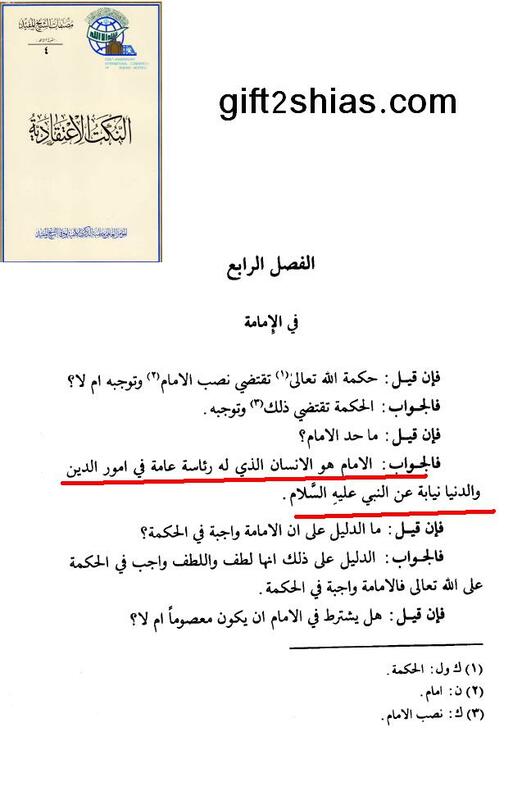 This entry was posted in Shia beliefs, Take a few minutes to think on this by Gift2Shias. Bookmark the permalink.